Many times though, the wasps are simply picking off dead insects from the grill and will be on their way soon. Make sure that you get the problem taken care of before driving your car, preferably by a professional wasp removal Toronto company. 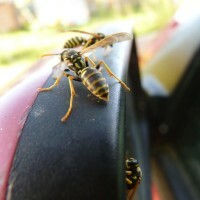 Wasps don’t have a special technique that they use to build nests in cars but rather follow the same procedure they use when building anywhere else. A wasp queen picks out a desirable location for the nest, in this case, your car. This could be anywhere from under the passenger door to in the hood of the car. Next, the queen searches for wood fiber which is plentiful in fences, logs or trees. She uses her strong jaws to get pieces of wood fiber and mixes with saliva. The reaction causes the fiber to turn in a paper-mâché or pulp-like material which she carries to the site to construct the nest. She repeats the process as many times as it takes to build a nest. If it is later in the season and workers are available they will help to create the nest. The pulp becomes solid once it dies to create a paper-like nest. Some species such as the mud dauber use mud and dirt to make their nests. This process can take anywhere from a few hours to a few days. Wasps build their nests to have a safe place to lay eggs in so you can expect the wasp population in your car to grow the longer the nest remains intact. The good news is an overwhelming majority of people are not allergic to wasp venom so there is a good chance you won’t have adverse effects if stung except for the typical painful sting, redness and swelling. Erratic movements and sudden motions dramatically increase the likelihood of getting stung in self defence. If you see a wasp in the car while driving, remain calm, keep your eyes on the road and open the window. The wasp will likely simply fly out. Meanwhile, slow down and pull over if possible. Do not attempt to swat the wasp; it will almost certainly sting you if you miss. Do not attempt to drive your car if you spot the wasp nest before getting in. Some species such as the mud dauber are docile and don’t live in large groups so you can get away with attempting to treat or remove in the nest on your own. In most cases, however, you can expect to get stung. Wasps are vicious and attack at the slightest provocation. 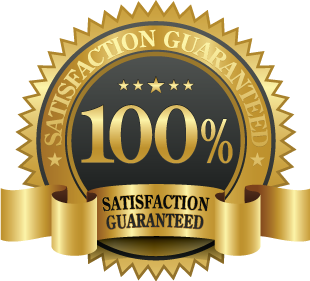 Hire a professional exterminator in Toronto to take care of the wasp nest for you. It may cost you but it is certainly better than getting stung or potentially flipping your car if you get stung while driving. Wear protective clothing if you insist on removing the nest yourself or if you want to inspect the vehicle.